Hello! Today I have something slightly different to offer. With the end of summer now sadly in sight, holidays had, and memories made, I'd like to invite you to join me in a collaboration project: Snapshots of Summer. The summer has swept by at the blink of an eye so it now seems time to reflect on these past few months. 1.) 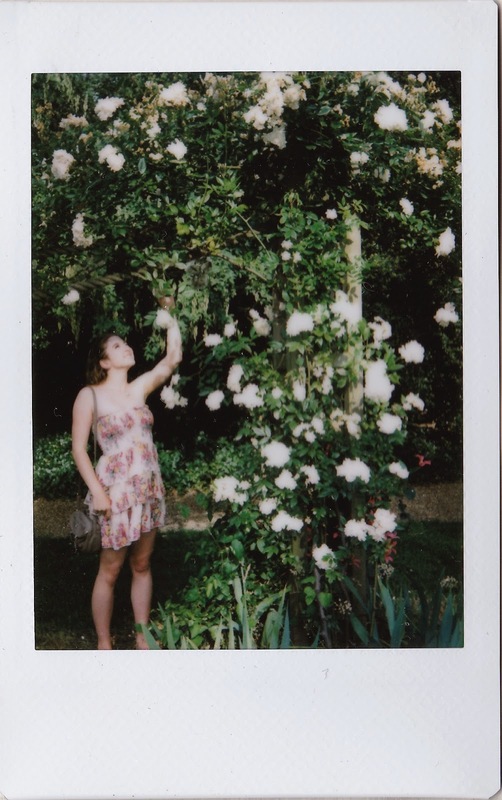 Send a scanned polaroid picture capturing any moment of your summer so far, to celobean@gmail.com. 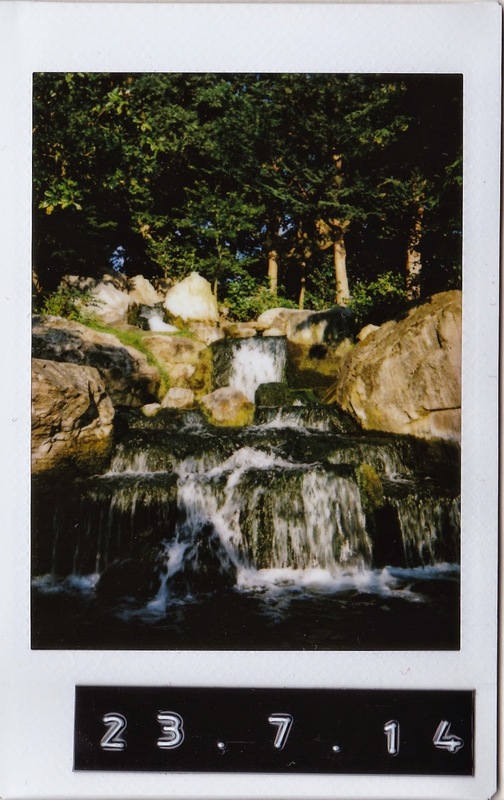 Scans are ideal, but a high-quality photo of the polaroid would also do. 2.) Let me know where the photo was taken. If you would like to give some more context to the moment captured on camera, please do so! 3.) Let me know what your name is, and where you are from. If you would like to, please share your Twitter/ Instagram name too. 4.) If you live in the Southern Hemisphere, feel free to send in a Snapshot of Winter - the more participants and the wider the range of experiences shared, the greater the project! I hope this project will help immortalise your very own summer, but also display a whole host of people's experiences all over the world. 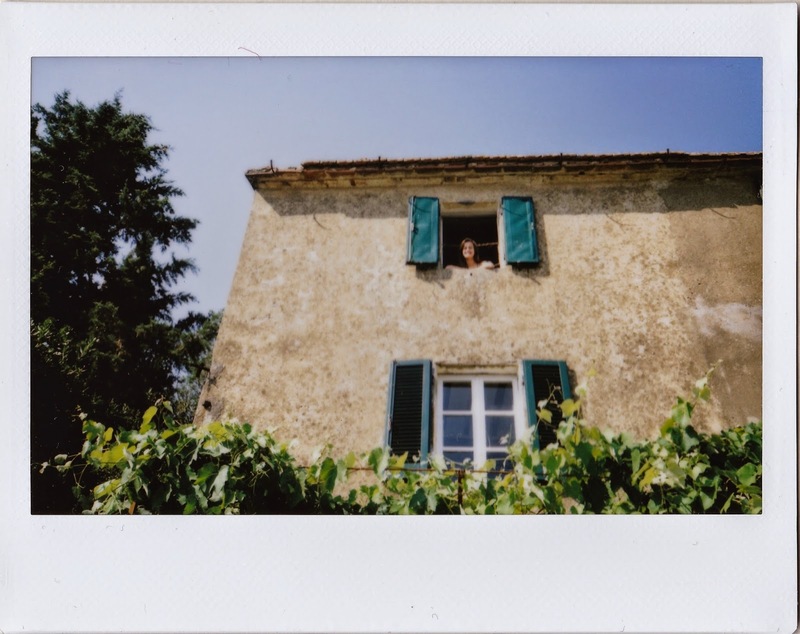 I've felt a bit uncomfortable that this blog is so one-sided so hopefully with such collabs, it'll become more interactive - and a platform for you to share your instant photography! Shakespeare & Company is a charming English-language bookshop bang in the centre of Paris, and just round the corner from Notre Dame. A feeding ground for bookish tourists today, it was once a hotspot for such writers as James Joyce, F. Scott Fitzgerald, and Ernest Hemingway. It's still host to important literary events and signings: Zadie Smith casually dropped by the store during my stay in Paris. 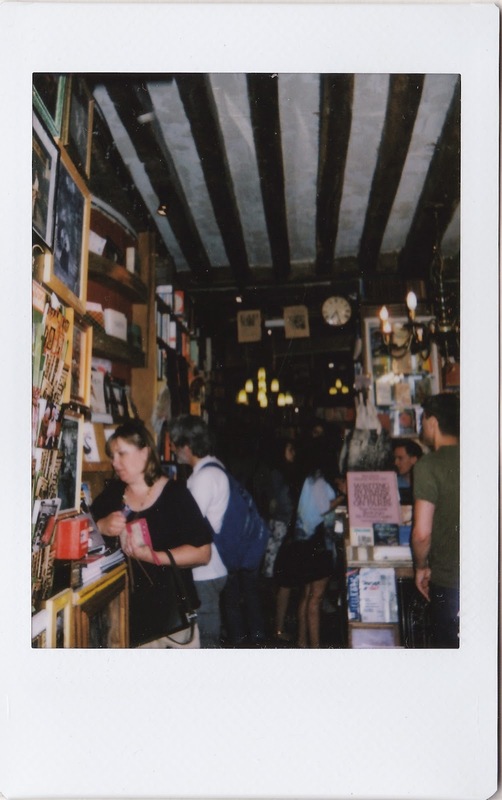 Oh, and Shakespeare & Co, if you're reading this - hello! - and please consider me as a future employee of your shop. I have made it my life's ambition to work for you - then, and only then will I die happy. (No pressure). Photography is sadly forbidden inside the shop so I'll have do my best to bring it to life in words. Inside is a warren of narrow corridors, piled high to the ceiling with new and vintage books. Climb an even narrower staircase and you'll reach the top floor - where it will be confirmed to you that heaven is a place on earth. Scattered alongside crammed bookshelves are cosy, cushioned nooks to relax and read in. Expect to find the odd customer tapping hurriedly at a typewriter: tapping out what, I don't know, but the few typewriters lying around are certainly put to good use. Customers are also encouraged to play a piano which lies in a corner of the store and is, unsurprisingly, suitably atmospheric. 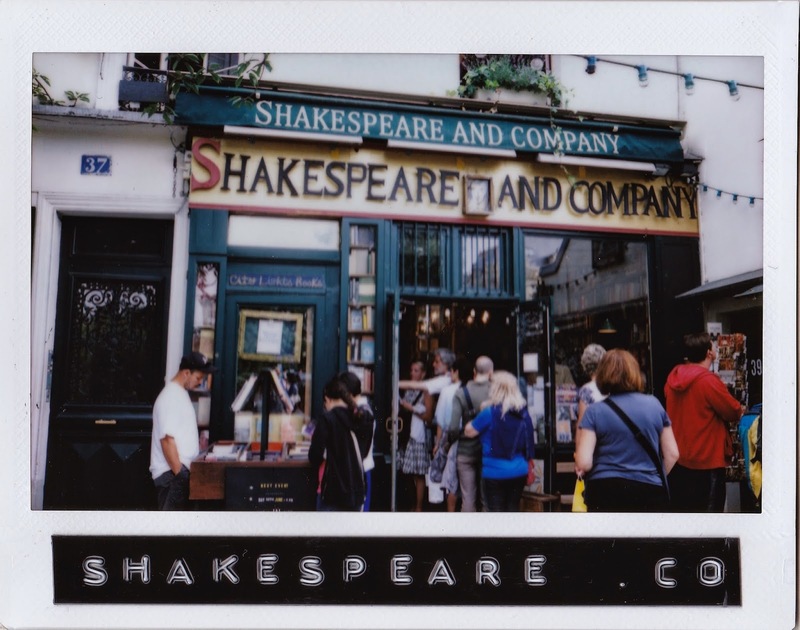 If you don't make it your life goal to work at Shakespeare & Company, do us all a favour and at the very least, visit. Hi there! Welcome to the fifth instalment in a series of monthly music playlists. This one's perfect for roadtripping, InterRailing, and sweating profusely on public transport while longing for adventure. Tucked away in the woods of Holland Park, lies the Kyoto Garden, built in 1992 as a London-Kyoto collaboration project. 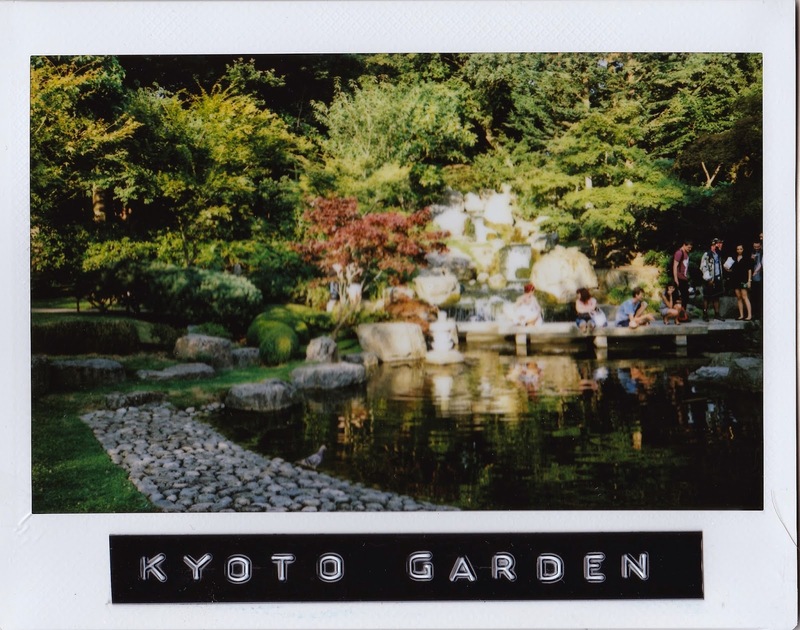 Providing a bitesize pocket of Japan and a much-needed oasis from London’s hustle and bustle, the Kyoto Garden is your new best friend. It’s always there, gives you space to think, and lends an ear when needed most (sure, it’s a tad unresponsive, but listen it does). If you have yet to find your happy place, then this is surely it. Sprinklers keep the very green grass very green while periodically drenching unsuspecting tourists, the poor sods too busy gawping at the Koi fish to notice an oncoming tidal wave (this definitely did not happen to me). The sprawling fish-pond backs onto a beautiful waterfall, crossable by a tiny footbridge, and particularly pretty in the soft evening light. Oh, and peacocks. Expect lots of broody peacocks. My summer’s been spent pouring over Japan guidebooks, lusting over pictures of Tokyo, and putting aside pennies, with aim to - eventually - make it there. Problem: getting to Japan is not cheap. But while my coppers accumulate, the Kyoto Garden provides a very decent substitute; while it can’t quite fill that Far Eastern-shaped void in my heart, it can at least quench my immediate thirst for all things Japanese. Honestly, it’s just a really great place to eat sushi, take a few (kawaii) selfies, and kid yourself and your friends that you’re on a mini-break in Tokyo.